H.B. 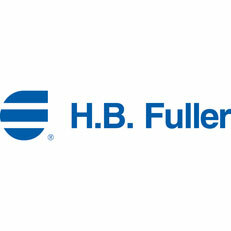 Fuller Asia Pacific was established in 1976, and operates in industrial and consumer markets. From floor to ceiling, our consumer products are used throughout the residential and commercial building industries, and provide solutions for the DIY customer. In Australia we sell quality adhesives and sealants in cartridge, sausage, and pail form. Other product offerings include silicones, fillers, foams, polyurethanes, and accessories. At H.B. Fuller we are concerned about the environment. We have developed a range of high performance adhesives and sealants that are also sensitive to our environment - no isocynates, low VOC and low solvent content.